Northern says a U.S. Energy Department grant will help the company commercialize its proprietary combination of permanent magnet generators and advanced direct-drive design, which eliminates the need for a high torque gearbox, simplifying turbine design and producing up to 15 percent higher efficiency…. 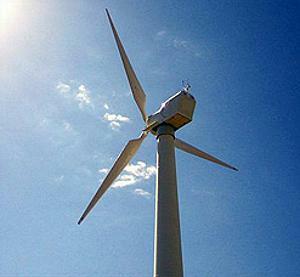 via Michigan Starts Utility-Scale Wind Turbine Manufacturing. This entry was posted in Business, Energy, Global Warming, Government, Technology and tagged Business, Energy, Global Warming, Government, michigan energy turbines, Technology on December 11, 2010 by Bill.